The reservoir, namesake of one of the flooded communities, was built in the years 1970-1975. 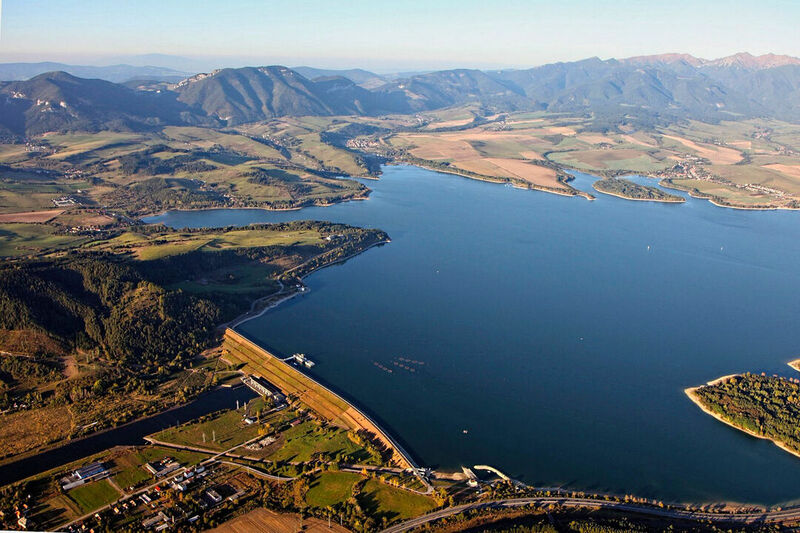 With the principal aims firstly to palliate the floodrisk on the river Váh and secondly for the production of power. Construction of the dam required moving of inhabitants of several communes which were inundated, including several cultural and historical monuments, although the most important of them were moved out and are now the main exhibits in the Museum of Liptov Village in Pribylina. The most important summer holiday resort on the shores of the Liptovská Mara dam is the village Liptovský Trnovec. 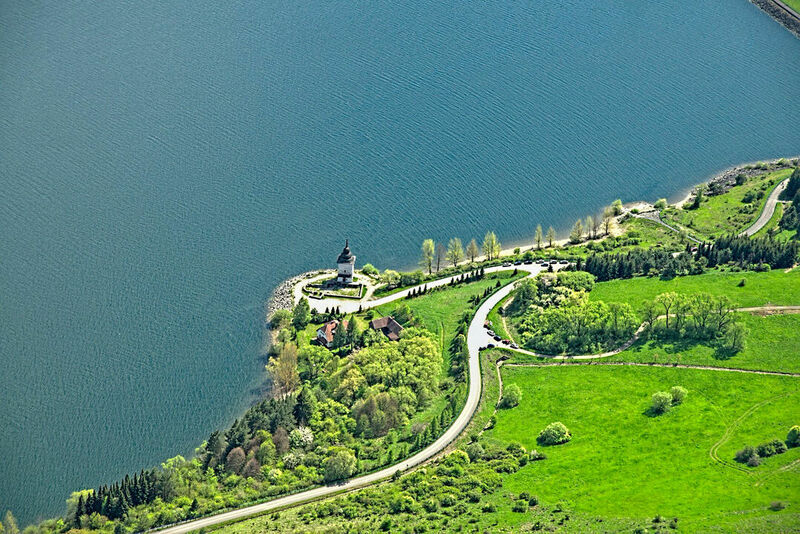 A modern Mara camping in Liptovský Trnovec on the shore of the reservoir is the favourite of water sport fans. 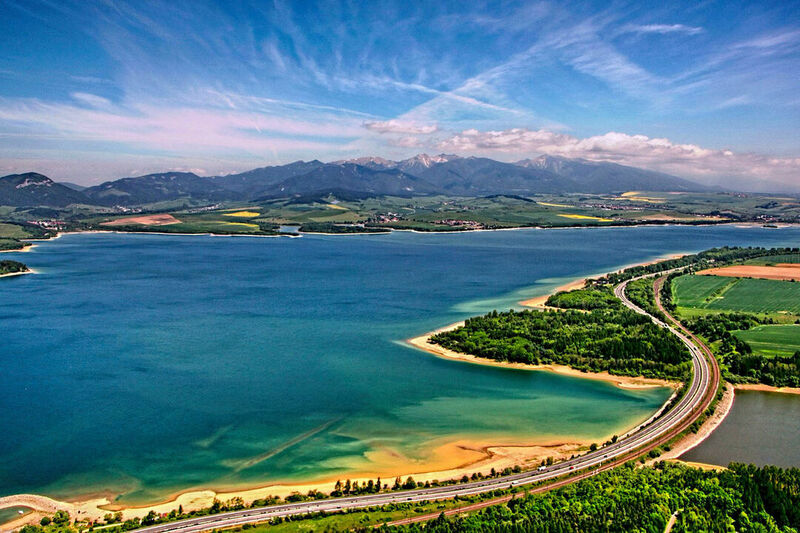 The beach, the renting of sport equipment and excellent conditions for yachting and wind-surfing are the assets of this sought after holiday centre, offering also a good base for trips to the Chočské vrchy mountains and the Západné Tatry mountains. The summer season starts in middle of June and ends in September. Part of the offer is also navigation by boat around the reservoir. The Aquapark Tatralandia opened all the year round and accommodation, as well as the Thermal park Bešeňová are additional attractions situated very near the reservoir.